X-Large - $41.99 Only 1 left! Zombie time. She knows the drill. End of times, the dead walk the earth, and brains brains BRAINS. You know all about zombie lore, but does she? Does she know what it really means to be a zombie? Does she know all the ins and outs of the undead life? Do you think she'll even know the best way to eat BRAINS!? Let's slow down this roll, because obviously your child has got a couple things going for her. First of all, they have you to teach them all the nitty gritty details about zombie life. And secondly, they're going to have a fantastic zombie look when you hook them up with this zombie costume for girls! It has all the real deal details that would look right at home in the movies or on tv's The Walking Dead. And when you outfit her with this costume, she'll have the style to match all of the coolest stumbling scenesters. 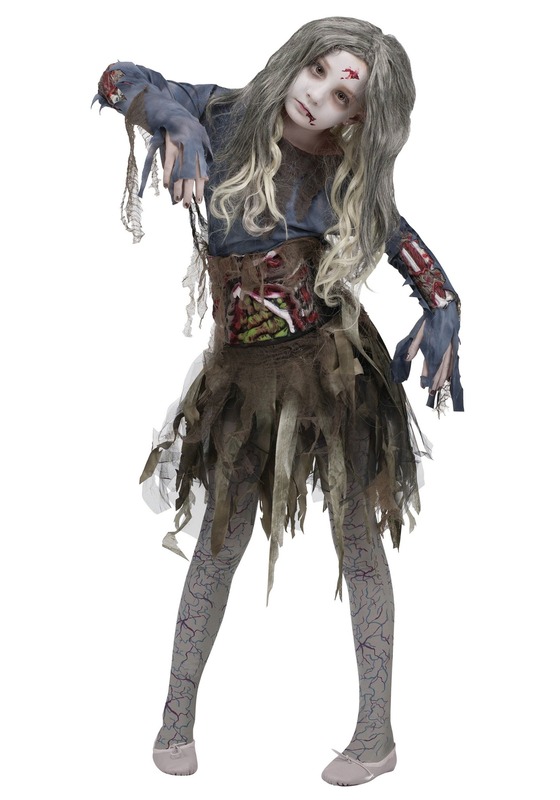 Styled as a tattered dress, it has plenty of faux wear and tear to make it look like she's been roaming the earth for years. 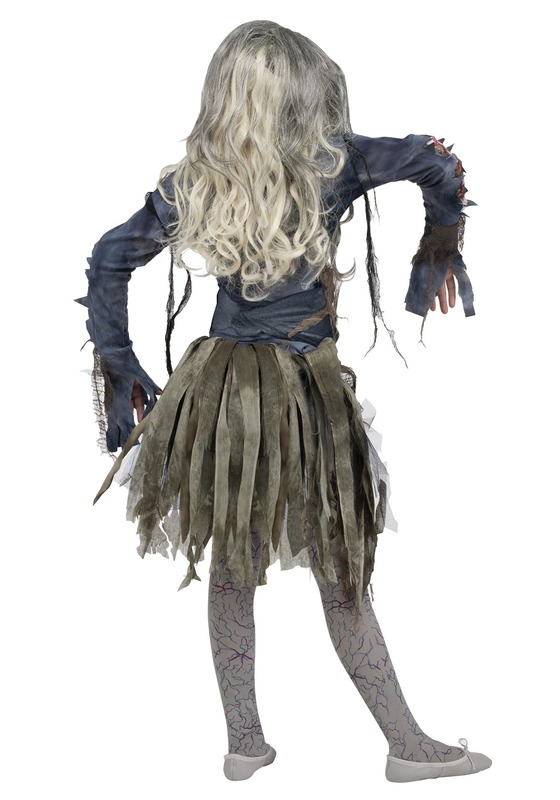 If the frayed fabric isn't convincing enough, this dress also features foam guts and gore details that attach at the midsection and on the sleeves, so she'll also have the appearance that she was in quite a tussle. You'll still have to add some makeup to get the look just right, but when the entire effect is assembled, she'll have a costume that's ready for any undead convention. We just hope your neighborhood has lots of fresh BRAINS that are ripe for the taking!